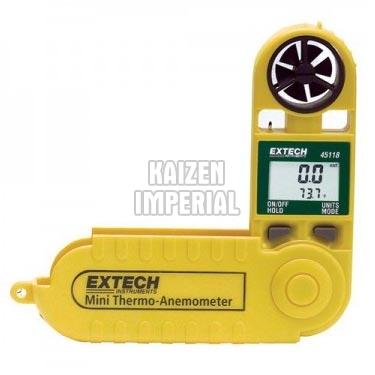 Mini Thermo Anemometer, offered by us, is used for measuring air velocity, temperature, and wind chill. Our Mini Thermo Anemometer measures temperature from 0 to 122oF (-18 to 50oC) with selectable averaging function of 5, 10, or 13 second intervals. Further, we are a distinguished Manufacturer, Exporter, and Supplier of Mini Thermo Anemometers.